Alternate format is available: the Job Bank site is not currently enabled for Browsealoud*. If you require our career opportunity and application information in an alternate format, please contact the HR Department at 204-729-2330 or email hr@brandon.ca. The job bank displays our current career opportunities, as well as seasonal and term postings. Select a competition that interests you to see the posting (a summary of the opportunity), job description (more detailed position information), and to apply. During our peak operating season we have over 670 public service employees working in a wide range of occupations. We’re looking for community-minded, “I want to make a difference” individuals to join us. If you value professionalism, respect, integrity, diversity and excellence, we may have the opportunity you’ve been looking for. Drop into our office at 410 9th Street. The HR Department is located on the second floor of City Hall and is open 8:30 – 5:00 (Noon to 1:00 by appointment only). We have a computer available for the public to search our job bank and submit applications, as well as staff available to answer any questions you may have about opportunities working for the City. 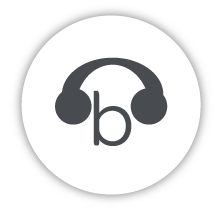 *Note: Browsealoud is an assistive technology that adds text-to-speech and translation functionalities to our website. It is meant to provide assistance for people with Dyslexia, Low Literacy, English as a Second Language, and those with mild visual impairments. Browsealoud can be activated by selecting "Accessibility" in the top right-hand corner of the website.